This Great Northern railroad observation car was purchased by Jake and Hortulana Goering. In 1935 a special rig was hired to move the car from the railroad tracks to its new location about half a block east of the intersection of Hwy 52, later 82 and Cty Rd 7. 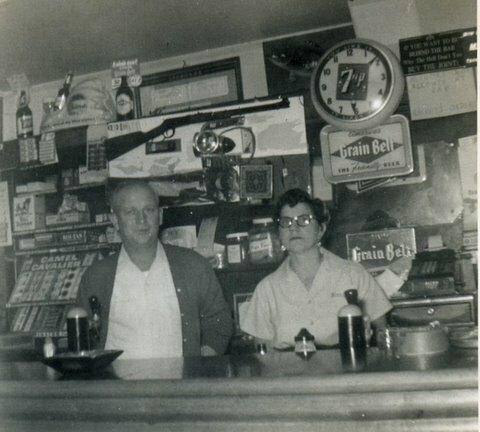 Mrs. Carey was the first operator of the Diner. 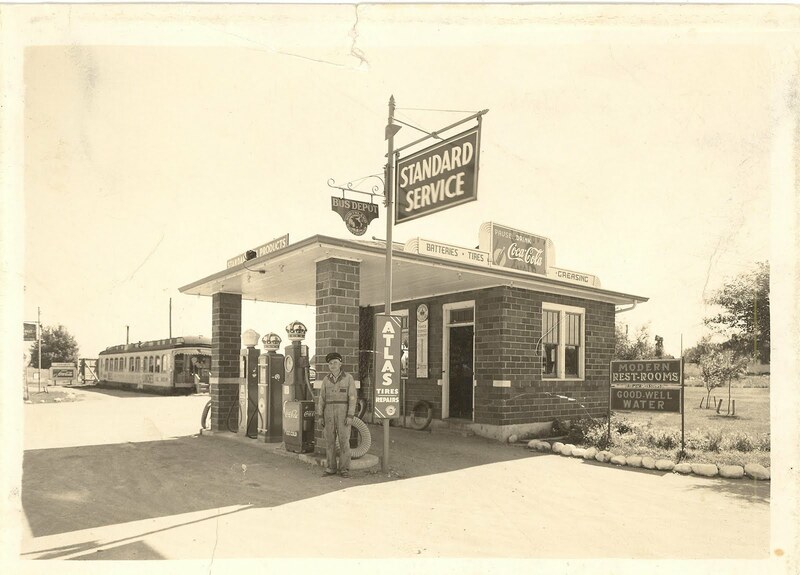 Frank's Standard Station was located on the corner of Hwy 52, later Hwy 82 and Cty Rd 7. 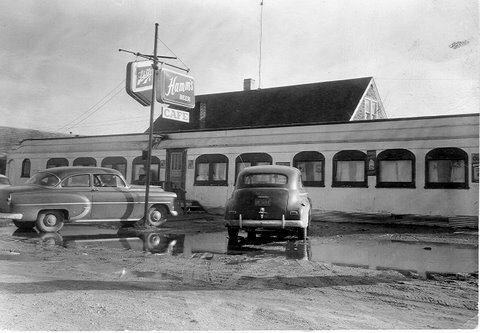 The Diner can be seen in the background. A house-like building was added to the rear and used as a bar, pool hall and dining room with booths. The upstairs was used as living quarters. Diner in the Debilzan years. 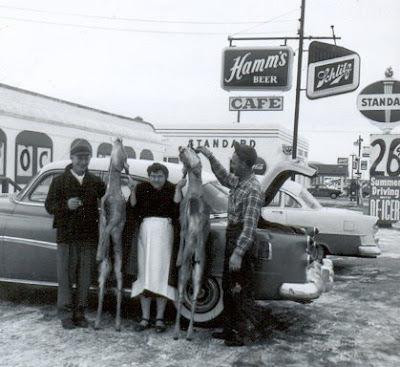 Melvin and Mary Debilzan were famous for turtle dinners and a great place to get a beer. They also sold some groceries. Notice Frank's Standard Station in the background. Over the years there were many owners: Walt Miller, Jake Lutterman, John Koep, Orrvin Christopherson and Robert Lund. Others connected with the business were Mrs. Carey, Jerry Hughes, Jim Anderson, Victor Dorsch and Earl Olson. 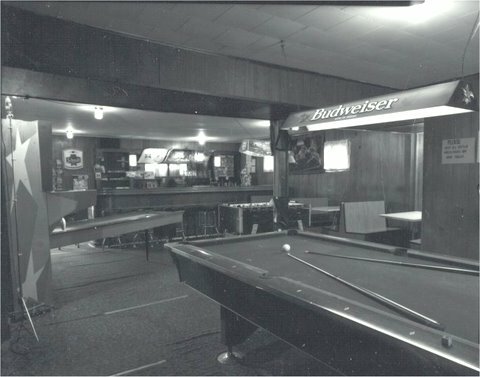 This picture shows the pool table and bar. 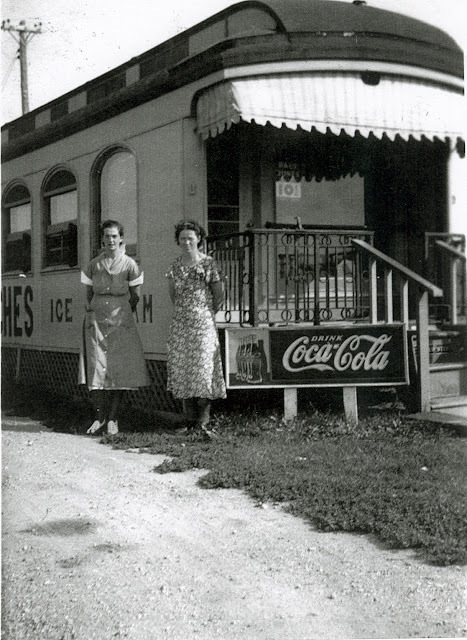 When the train car was removed, a front section was added to the house and the name was changed to the Brandon Inn until January 1972. The new owners, Jim and Lola Hirtler changed the name to the Starlite Bar and Grill. They were open 10 AM to 1 AM, seven days a week. 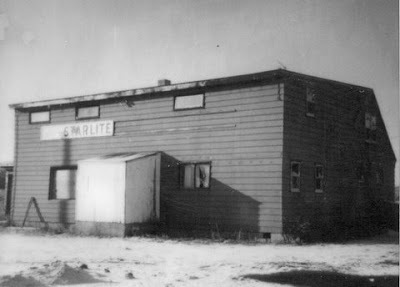 This picture was taken in 1989 shortly before the building was torn down.